I am so blessed to have this sweet little boy with a definite twinkle in his eye for a godson. 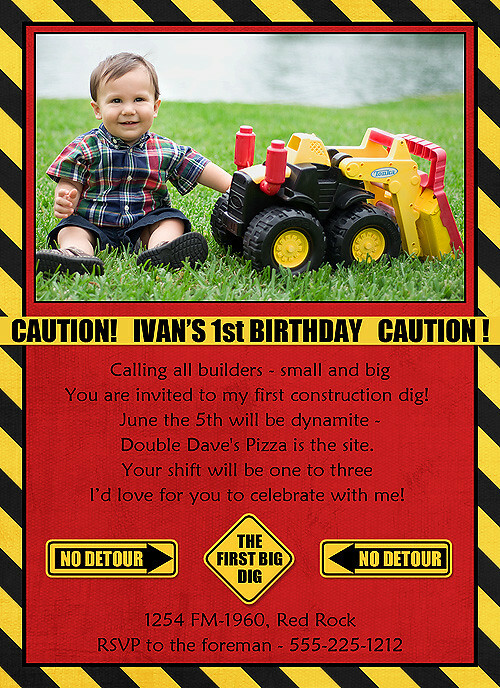 I shot these photos just before his first birthday, he wasn't crazy about the location, but we got some super cute ones of the Bulldozer with his bulldozer. I can't wait to see this collage come from the printer tomorrow!! I wanted to go bigger, but his mom says they don't have enough room on the walls for so much cuteness, and big sissies might feel left out, so I had to be content with a 16x20 print. 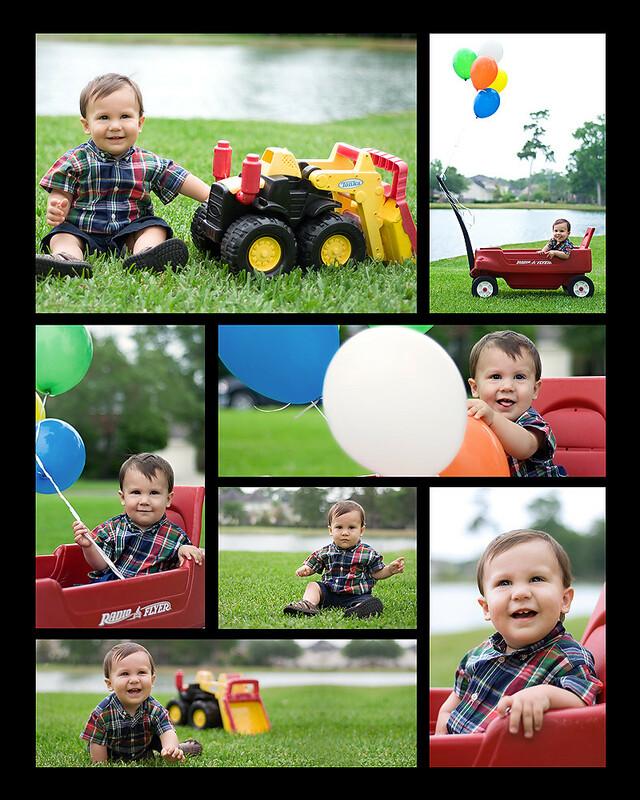 The photos worked perfectly to create a theme for his first birthday invitations as well - check out Sentiments by Sarah for more custom birthday invitations.